Spring Time Flowers for Proms & Weddings! Prom season at Belak Flowers lasts at least six weeks starting in mid-April and continuing into the beginning of June. 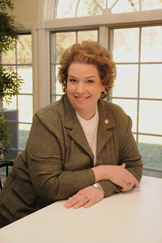 In recent years, customers have come to us from approximately 2 dozen high schools throughout New Castle County, Delaware, Chester County in Pennsylvania, northern Maryland and even over the bridge in New Jersey. When I meet with a bride I always ask her to share her “vision” for her wedding flowers. A girl going to a prom also has a vision – from her dress to her shoes to her jewelry to her flowers. And it is okay for her to let her date know if she has her heart set on a certain style or type of flower. Traditionally the girl’s date bought the corsage and she bought the boutonniere, but now many couples come in together to ensure that their flowers will be coordinated. Matching these floral pieces “says” that you are together; there are many ways to do this. You can use the featured flower of the corsage, for example a rose or an orchid, for the boutonniere. Because Belak Flowers always wraps the boutonniere stem with ribbon, it can either match the color of the boys’ shirt or cummerbund or pick up a color in the girl’s dress. Dress styles and “in” colors change every year. For a long time prom gowns were traditionally a solid color. Neon colors have come and gone and come back again! Eye-popping prints are as available as pastels. As for the flowers, the selection is as vast as your imagination. Our wristlet corsages are considered mini-works of art. Each corsage is custom-made to compliment the wearer’s personal style and color scheme. A corsage is both an accessory and a necessity, and in its dual role it usually incorporates a color in the girl’s dress and her date’s tuxedo. 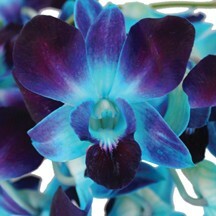 Spray roses and Dendrobium orchids, both available in dozens of colors, continue to be top choices for prom flowers. White roses and gardenias, while always popular, are among the least durable flowers for any type of corsage. Because the petals bruise easily, by the end of the evening they may begin to turn brown. To protect the delicate blooms of any flower it is important to handle them as little as possible. Until the last moment your corsage and boutonniere should be kept in a cool place. If a wristlet or “pinned on” corsage does not suit your personal style, a nosegay might be the right choice. This design has gained in popularity in the past 3 years. The number of flowers used is more than in a corsage so it makes a greater color statement! The addition of ribbons adds movement to this accessory. 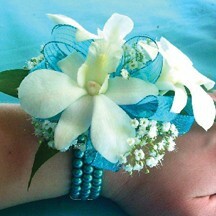 There are many ways to design your prom corsage and boutonniere. The wristband or bracelet that one chooses becomes a beautiful keepsake of the occasion. Flower bracelets come in all price brackets from simple to elaborate to over the top! Come in to our Custom Prom Section and Wristlet Bar and view our wide array of bracelets, ribbons, dress color swatches, and of course, flowers. Belak Flowers will help you create a floral accessory to match your vision! Next Story → Escape The Freezer And Head To The Beach!